Obsessive-Compulsive Disorder (OCD) and Obsessive-Compulsive Personality Disorder (OCPD) are said to affect two to three percent of the population for OCD (that is: more than 500,000 Australians) and one percent for OCPD, although three to ten percent of the psychiatric population is said to have it (Long, 2011). Many cases probably go untreated. 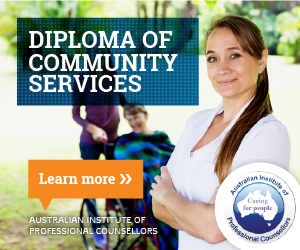 If your focus as a counsellor or psychologist has not been on diagnosable disorders listed in the DSM-IV, you may have been unaware that both conditions exist. One, OCD, is considered to be an anxiety disorder and the other, OCPD, is classed as a personality disorder. a combination of obsessions and compulsions (Wikipedia, 2013a). mental and interpersonal control at the expense of flexibility, openness, and efficiency (Van Noppen, 2010; Psych Central, 2010). The DSM-IV lists the symptoms of both disorders. In the section on anxiety disorders, the DSM-IV notes that sufferers can have either obsessions or compulsions. B. At some point during the course of the disorder, the person has recognised that the obsessions or compulsions are excessive or unreasonable. Note: This does not apply to children. C. The obsessions or compulsions cause marked distress, are time-consuming (take more than one hour a day), or significantly interfere with the person’s normal routine, occupational (or academic) functioning, or usual social activities or relationships. E. The disturbance is not due to the direct physiological effects of a substance (e.g., a drug of abuse, a medication) or a general medical condition” (American Psychiatric Association, 2000, pp 217-218). Shows rigidity and stubbornness” (American Psychiatric Association, 2000, pp 296-297). While the obsessive nature of the two disorders does have overlap and thus creates a lot of confusion for people, here are key differences between them. Presence of obsessions and compulsions. Obsessions and compulsions, so salient with OCD, are not present in OCPD. People with OCD and OCPD might both carry out repetitive behaviours, but the reason for performing them is different in each case. For example, a person with OCD might repeatedly write out lists or try to organise items around the home in order to prevent a disaster taking place (thus carrying out the behaviours is a compulsion stemming from obsessive thoughts about disaster). A person with OCPD, meanwhile, would be doing the same thing in order to increase his or her efficiency. Stability of symptoms. OCD is an illness whose symptoms may change in severity over time, while OCPD reflects an excessively rigid personality style which does not change much over a person’s lifetime. Onset. Roughly one third to one half of adults with OCD report a childhood onset of the disorder, which suggests the continuum of anxiety disorders across the life span, whereas OCPD generally begins in early adulthood. Views about relative normality of symptoms. While those with OCD realise how their time-consuming, compelled behaviours are not normal — and the realisation causes them great distress — OCPD individuals believe that nothing is wrong with their behaviour, that it is perfectly normal, and that if someone else is distressed by it, they are the problem. Thus OCD obsessions and compulsions can be said to be “ego-dystonic”, whereas rigid or repetitive OCPD behaviours are “ego-syntonic”. Causes for difficulties in social relationships. Following on from (4), persons suffering from OCD might seek professional help to rid themselves of the unwanted rituals of repetitiveness, whereas those dealing with OCPD might visit a counsellor because of relational issues. Specifically, they might be in conflict with friends and family around their need to have others conform to their way of doing things. Perfectionism, control, and workaholism. Compared to OCD, those with OCPD have a higher need for order and control; they are more prone to perfectionism, and this tends to engender problems with workaholism. None of these traits defines OCD (Kelly, 2010a; Kelly, 2010b; Australian Institute of Professional Counsellors, 2010; Wikipedia, 2013b; Long, 2011). American Psychiatric Association. (2000). Diagnostic and statistical manual of mental disorders, Fourth Edition, Text Revision. Washington, D.C.: American Psychiatric Association. 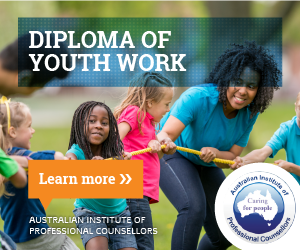 Australian Institute of Professional Counsellors. (2010). Obsessive-Compulsive Personality Disorder (OCPD). 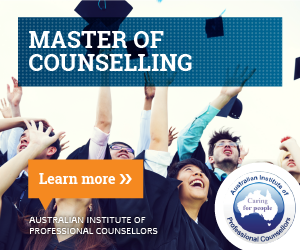 Australian Institute of Professional Counsellors. Retrieved on 17 April, 2013, from: hyperlink. Kelly, O. (2010a). Telling the difference between OCD and Obsessive-Compulsive Personality Disorder. About.com. Retrieved on 17 April, 2013, from: hyperlink. Kelly, O. (2010b). OCD and Obsessive-Compulsive Personality Disorder: What’s the difference? About.com. Retrieved on 18 April, 2013, from: hyperlink. Long, P. (2011). Obsessive-Compulsive Personality Disorder. Internet mental health. Retrieved on 18 April, 2013, from: hyperlink. Psych Central. (2010). Obsessive-Compulsive Personality Disorder Treatment. PsychCentral.com. Retrieved on 24 April, 2013, from: hyperlink. Wikipedia. (2013a). Obsessive-Compulsive Disorder. Wikimedia Foundation, Inc. Retrieved on 21 April, 2013, from: hyperlink. Wikipedia. (2013b). Obsessive-Compulsive Personality Disorder. Wikimedia Foundation, Inc. Retrieved on 23 April, 2013, from: hyperlink. This article is an extract of the upcoming “Understanding Obsessives: OCD and OCPD in the therapy room” Mental Health Academy CPD course. 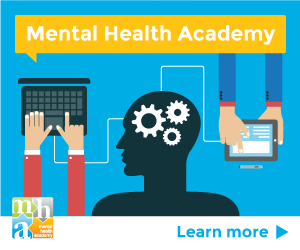 This course is about understanding what is constituted in each disorder, and how you can recognise the symptoms in clients and others.